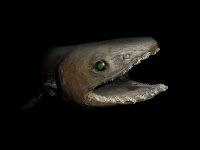 Frilled shark (Chlamydoselachus anguineus) is a bizarre-looking fish and it has one of the most ancient lineages among all shark species. 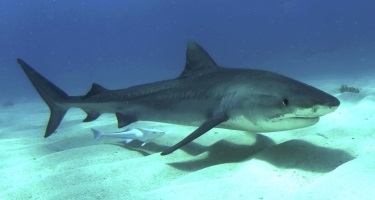 In its family, it is among one of the only two shark species that are alive today. Due to its ancient lineage, it is often called a ‘living fossil’. It has flattened head with short snout. It looks more like a ‘lizard’ or perhaps ‘eel’. It has large oval-shaped eyes. It has an extremely big mouth and the jaws are located at the snout’s end. Frilled shark has around 300 needle-like and inward-shaped teeth. Its small dorsal fin is located at the far back of its body. It is gray to dark brown in color. It has six gill slits on both sides and each having ‘frilly’ edge. It can grow as long as 6.6 feet in length. At birth, the size of a pup is 40 to 60 centimeters long. 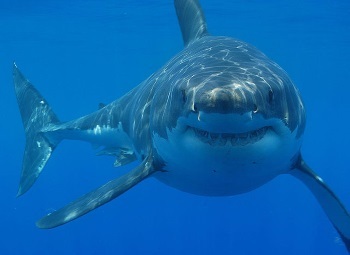 A female shark reaches m aturity at the length of up to 4.9 feet while males mature at around 3.9 feet in length. Mating can occur at any time of the year. It has a litter size of 2 to 10 pups. On average, there are 6 pups per litter. It is distributed in patches across the Pacific and the Atlantic Ocean. In the Atlantic, it is present from France to Morocco, Norway, Ireland, Scotland, Suriname, New England and Georgia. In the Pacific, it occurs in Australia, New Zealand and from Japan to Taiwan. This shark dwells on the continental shelf and occurs as far as 5,150 feet in depth. 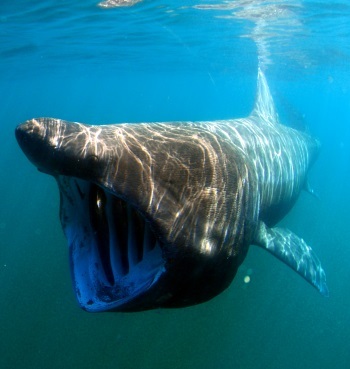 However, frilled shark is usually found at 160 to 660 feet. It can swallow its prey as a whole thanks to its large mouth. Frilled shark feeds on octopus, squid, bony fish and other smaller species of sharks. Squid is however, the main component of its diet.